Added by thronn on May 7, 2017. 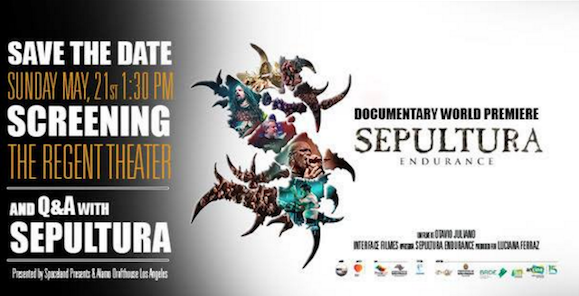 The tickets for the world premiere of our documentary, Sepultura Endurance, are already available for purchase! Save the date, it’ll be on May 21 at The Regent, in Los Angeles, CA (USA). See you there!